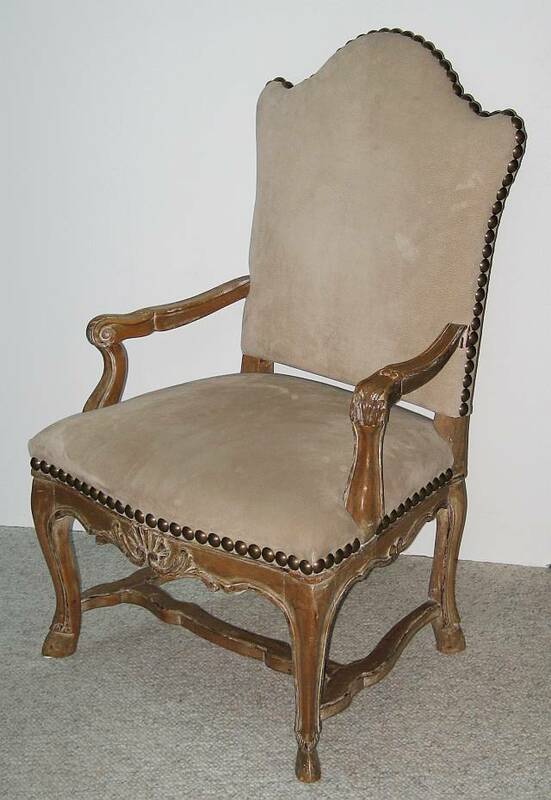 Reproduction Regence style arm chair by Frances Moore. Paint washed wood finish. Now with suede leather cover and nailhead trim.